The U.S. Department of Veterans Affairs, or VA, operates the nation’s largest integrated health care system, including 171 medical centers and more than 350 outpatient clinics in the United States, the Philippines, Guam and American Samoa. According to the VA, more than 5 million veterans are served as outpatients and inpatients at these sites. Historically, the VA health care system served only veterans with service-connected disabilities, but it is now open to all veterans—male and female--who meet the eligibility requirements and choose to enroll. Veterans may apply for care online, in person or by mail. 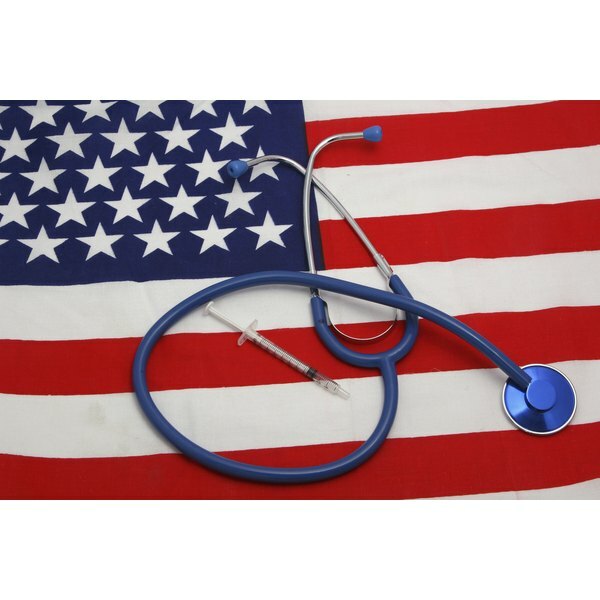 Eligibility for health care benefits, according to the VA, is based upon active duty service in the U.S. Army, Navy, Air Force, Marines, or Coast Guard. Most of the nation’s 24 million veterans are eligible for some aspect of VA’s health care services. Exceptions include those who were dishonorably discharged. Length of service is also a factor. Spouses and dependent children of disabled or deceased disabled veterans may also be eligible for medical benefits through the Civilian Health and Medical Program of the Department of Veteran Affairs—CHAMPVA. Enrolled veterans are assigned to one of eight priority levels--P1 through P8--based on their service-connected disabilities, income levels and other factors. Veterans with service-connected disabilities rated 50 percent or more and veterans determined to be unemployable due to service-connected conditions are assigned to the highest priority group. This priority system enables the VA to determine each year if its medical budget is adequate to serve veterans in all priority groups who seek care. The VA evaluates drug classes to determine which medications provide the best value in terms of safety, efficacy and cost, according to the December 2007 issue of the "American Journal of Public Health." Preferred medications---those determined to be the best value---are placed on a formulary list. Prescriptions for drugs not listed in the formulary will not be filled through the VA system. The initial VA prescription—usually a 30-day supply--can be filled at any VA pharmacy. Refills are mailed directly to the patient. A VA pharmacy will not fill a prescription written by a health care provider outside the system. VA primary care providers may prescribe the medication through the VA system if they agree that it is medically necessary and the veteran is enrolled in the system. According to the VA, many veterans pay a co-pay for each medication prescribed for a non-service connected condition. No co-pay is charged if the veteran has a service-connected disability of at least 50 or if the medication is prescribed for treatment of a service-related condition.